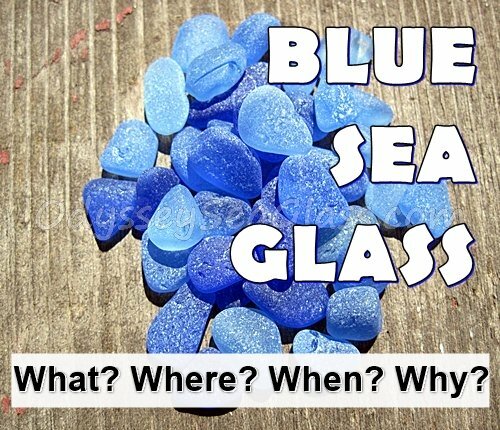 What makes blue glass blue? Most of the glass we find on the beach comes from what we use in our daily lives. The largest percentage of glass is produced as bottles and jars, flat glass for windows, or for drinking glasses. Generally speaking, all glass is made from sand. The glass we find on the beach is, so to speak, returning to it's natural home. Glass is 100% recyclable, and us "seaglassers" are doing our part to recycle it. You bet! It takes a very, very hot temperature to melt sand into glass, so normally chemicals and minerals are added to reduce the melting temperature. Minerals are also added to strengthen the glass. Glass made from sand that has some iron in it (most sand does have some) gives a greenish color to the glass. However, commercial glass production removes the iron and glass is normally colorless. Colors such as blue, red, green, brown, orange, and yellow are produced by adding certain chemicals and/or minerals.